With the addition of the greenhouse, I had to move where my pole beans grew. My husband built two boxes for me out of old untreated wood that we reclaimed from my in-laws house as they tore it off. The boxes line my entrance to the garden from my greenhouse. Over the boxes is a pergola of sorts. Just recently the green beans decided to grow which meant I needed to provide them with a support system. 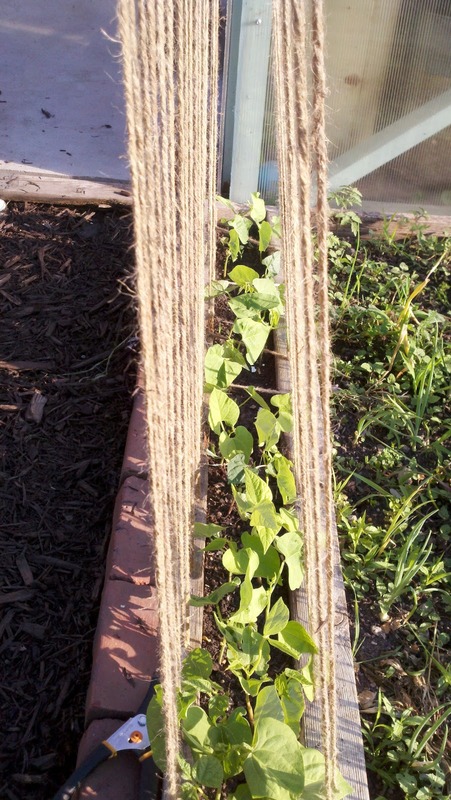 I had roll of twine that I thought would work perfect. I hammered finishing nails into the box at an angle and then hammered them down to hold the twine. 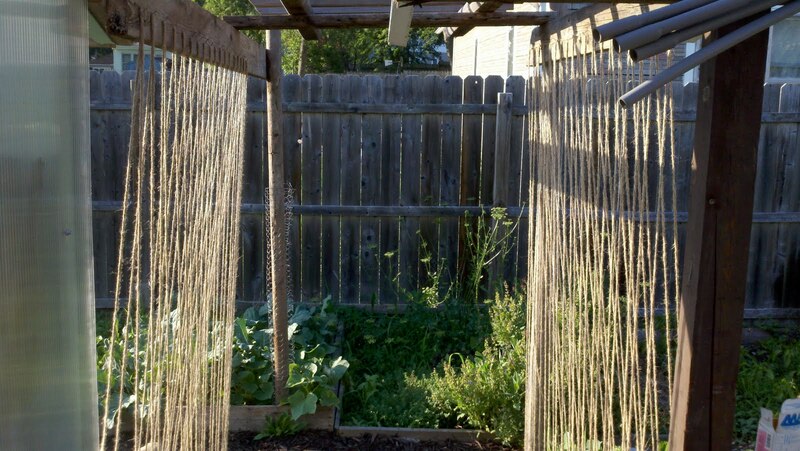 Just loose enough that I could, without too much work, remove the twine in the fall to save it for next year. Please ignore the weeds in my onions. Looking directly at the box everything is nice and uniform. Looking into my garden from my greenhouse door. My husband said that this set up is already beautiful. That it is going to look fantastic when the beans start to climb. On the opposite end on the left side you will see where I have a cucumber plant designated to climb the post. I can't wait to see how this turns out this summer. Oh, that's so cool!!! I love how neat and tidy it is. 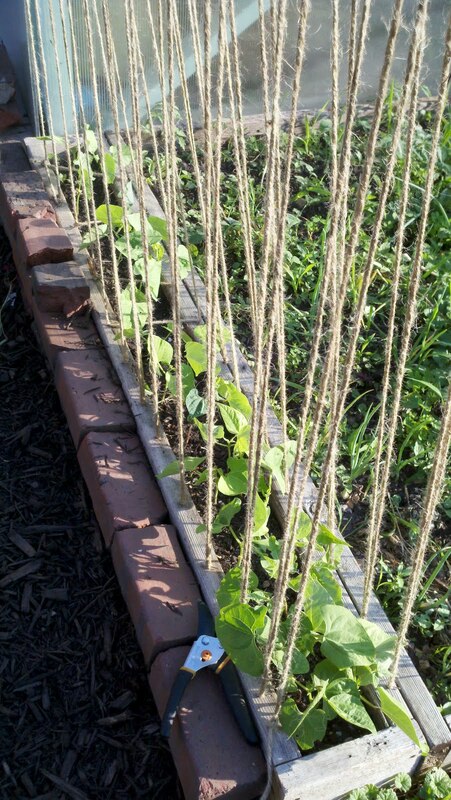 And the beans and cucumbers, when they get up higher will look awesome climbing up the twine, AND you'll get some food out of it too!! That's what I call a win-win situation. Awesome job. Hey, I have to tell you, when I read that you had used finishing nails, I read, "fishing" nails, and I was wondering what that was. Yea, I'm pretty bright this morning!